Hello! 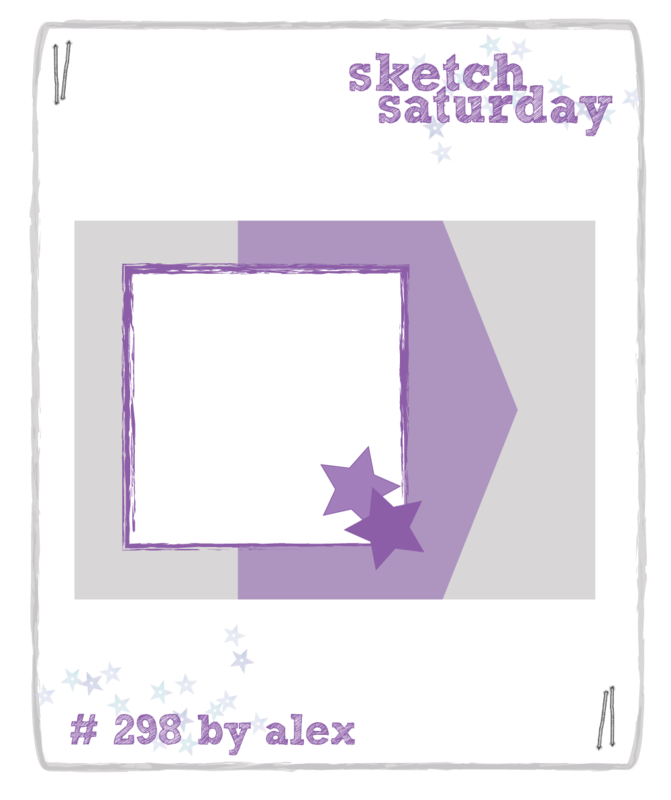 It is a cool and cloudy day in Florida so I took time to create a card for some challenges. Have you seen that Joan (former owner of Joan's Gardens) of Joan's Touch is having challenges on her blog? This week the new owner of Joan's Gardens is offering a prize. Check it out here. This week Joan has asked us to use 3 flowers , vintage colors, something for texture like mesh or tulle, and a product sold at Joan's Gardens. I had all the elements covered but the mesh or tulle and then remembered that I had a bag of potatoes in mesh packaging and it was a perfect color as well. So I began my card. 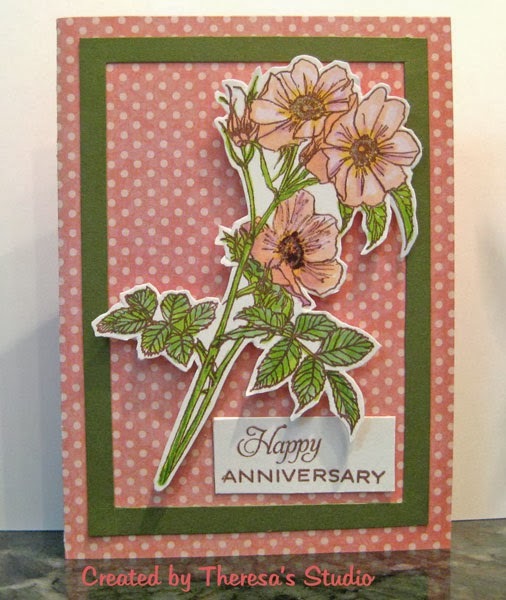 The flowers were made using Susan's Gardens Dogwood dies made by Sizzix that I received from Joan's Gardens. I used white and green cs for the Dogwood Flowers and shaped with flower tools by Susan's Gardens also from Joan's Gardens. I assembled the card with a base of GKD ivory cs , layered with floral pattern paper, then a layer of script pattern paper, pieces of mesh, the dogwoods with some of the mesh layered underneath. The patterns are all Graphics 45 Paper Pads. I finished the card with a coral Grosgrain ribbon highlighting the sentiment stamped in Memento Rich Cocoa ink on a rectangle from the Pattern Paper which was printed with the word Thoughts. The stamp from Flourishes Flowers for Jan Set reads "There is no charm equal to tenderness of the heart." I loved the way this card came together with the vintage colored pattern papers and the lovely words and the final touch of the colored pearls. Joan's Touch: Use 3 flowers , vintage colors, something for texture like mesh or tulle, and a product sold at Joan's Gardens. Susan's Garden Products and Graphics 45 Paper from Joan's Gardens. Mod Squad Challenge: Thinking of Spring....Dogwood always bring thoughts of spring. 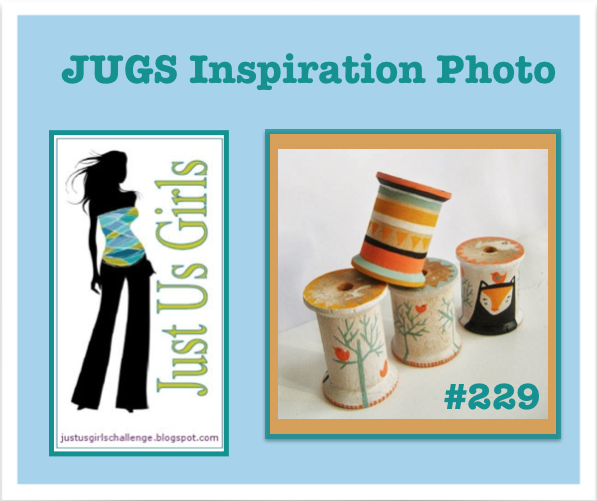 This card was inspired by the photo challenge at Just Us Girls shown below. I used colors red, yellow, black and green from the spools and the red bird to plan the design. I embossed some clouds in the background but got the EF in backward but left it anyway. punched a hole in card and dropped in a bit of yellow sunshine, Stamps used are Gina K's Stippled Nature. Inks are Memento Black and Love Letter, Used masking to bring bird forward and assembled all on a Green Base card. 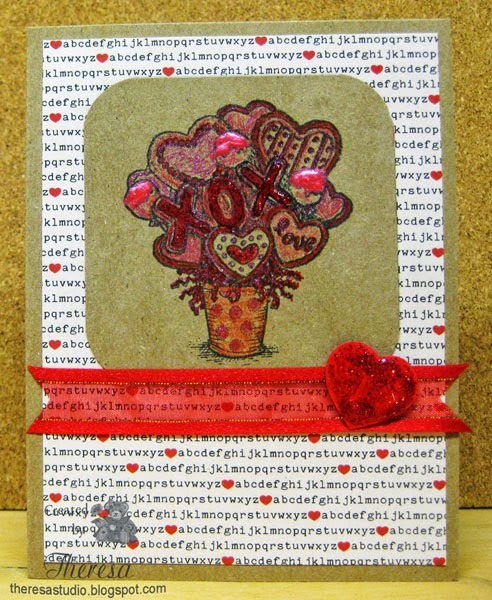 Stamp TV: Monday Mix Up-STV14MON8 Holey Cardstock. 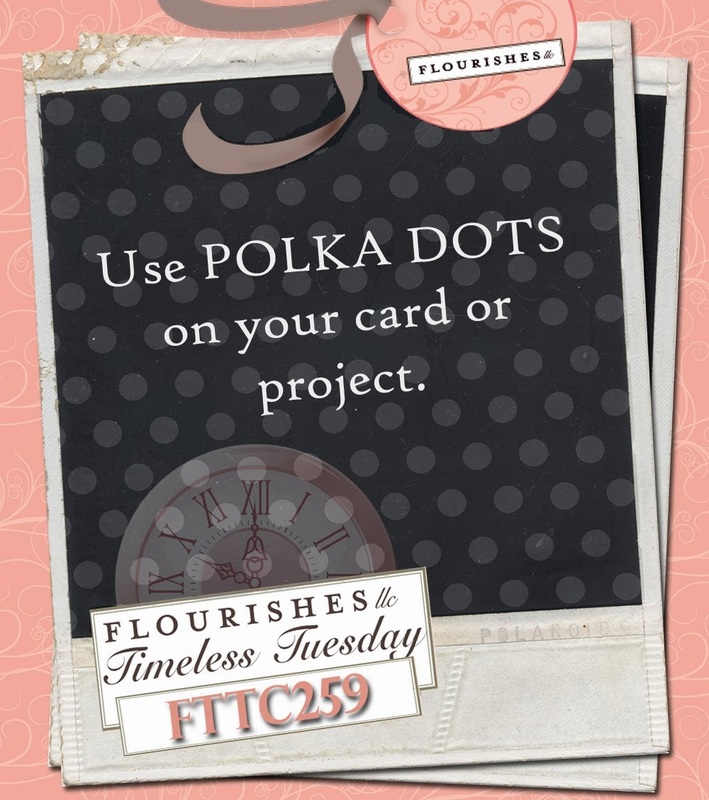 Create a project with at least one hole in your cardstock . OOPS...missed the part of having stamping show thru. Hello and welcome! Today my card is created with Pattern Papers from Graphics 45 and a stamped sentiment from my favorite stamp maker Flourishes. I used a sketch from Sketch Saturday, a new challenge to me. 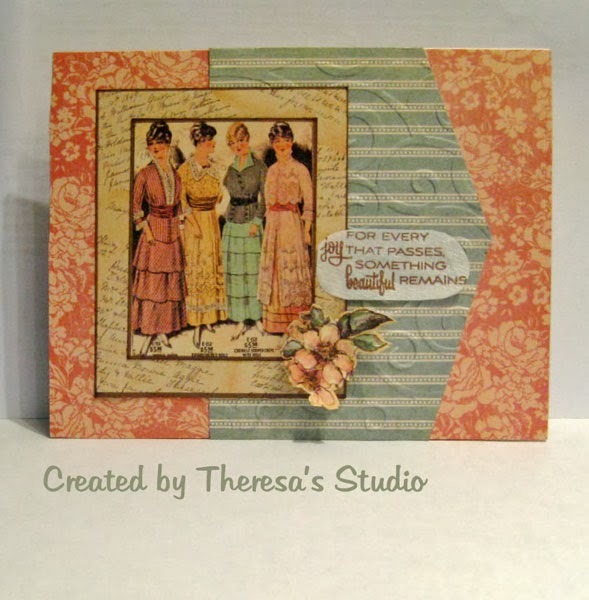 I used 3 different patterns to layer and cut the images of 4 vintage ladies from one of the panels on another paper. The image is placed on a layer of printed script. I inked some of the edges with Memento Rich Cocoa marker. I cut some flowers from one design and shaped the flowers with my flower making tools to give some depth. With embossing folders, I also dry embossed 2 of the layers - one the floral pattern and one a stripe. Love the colors in my card. 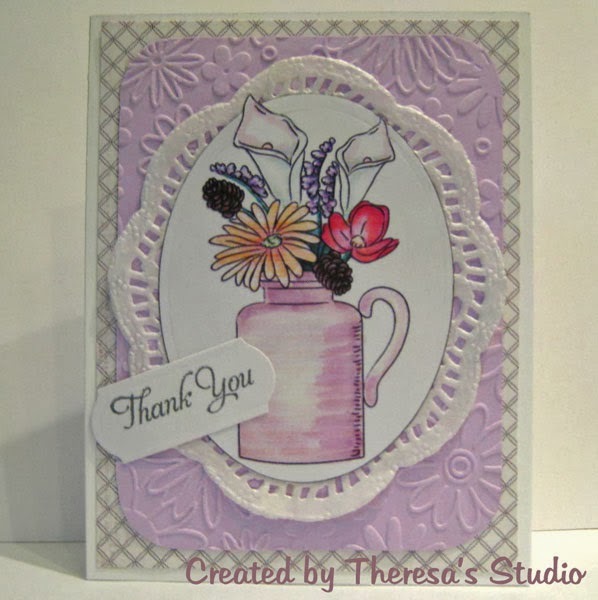 This card was made with a colored digital image Floral Jug from Doodle Pantry. I changed the colors a bit using Copic Markers. I changed the color of the jug to orchid and added shading and depth to the flowers. I trimmed the image using a Nesties oval die and layered it on a paper doily found at a Dollar Store for 10cents a pack. The doily was round but I cut it in half and made it oval shape. This was placed on an orchid mat embossed with a Darice EF. I used a MME's Pattern Paper check design from Quilting Bee pad as the layer between the white card base and the top layers. 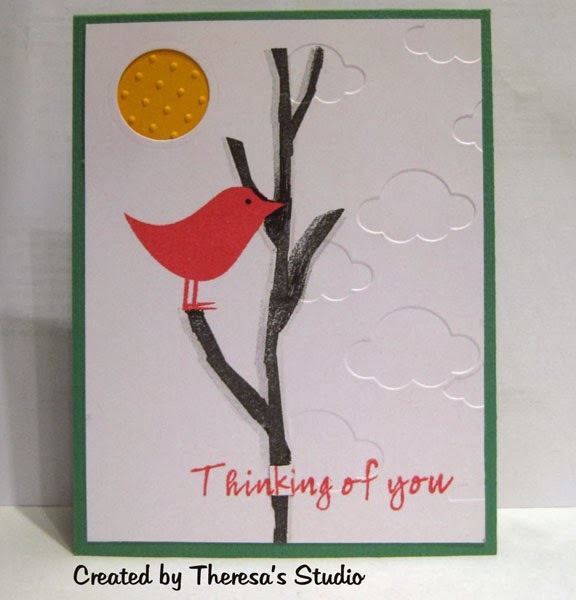 I just liked the look of these layers together and so did my DH whom I consulted in the making of this card. The sentiment from Flourishes Taglines was stamped in Memento Gray Flannel ink. Doodle Pantry Images makes making cards so fun and easy. I was inspired by the color Orchid to make this design. Doodle Pantry Blog Challenge: #43...use any digital image. Whoopsie Daisy: Use 2 or more die cuts....used oval die and a die for sentiment. Also used a die to curve my corners since I did not have a corner punch. Welcome! Glad that you stopped by. Enjoying the sunny days in Florida. Trying to post our daily happenings at Captiva Days with Al and Theresa but a few days behind. 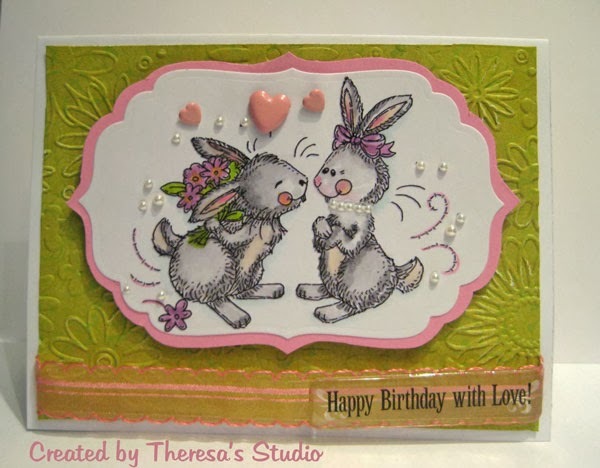 Today I have a card made with Meljens digi Bunny Love. I intended to make an Easter card but ended making a birthday card. I printed the image on white cs and colored with copics. I added some pink metal heart brads and lot of mini pearls including the bunny's added necklace . I cut the image and also a pink mat with Spellbinders Label 4 dies. Layered these and added to a mat of embossed (Darice Flowers EF) green Pattern Paper from Webster's Pages Park Drive pad and a white card base. Finished with a scrap of fancy pink ribbon and a clear epoxy sentiment sticker from Cloud 9. The photo does not show ribbon as it really is.....it is actually nice and straight on the card. Distorted in photo and I'm too lazy to redo..
Meljens Design Team Challenge: Bling it Up....did that with pearls. Second post today. I seem to be getting my rhythm back or is it mojo making cards. Making cards is a bit more challenging since I am away from my Studio and am working with limited supplies but making do with what I have. Today I am using Graphic 45 pattern paper for the card base.....seldom do that but weight of this paper is heavier than most PP. Using my paper trimmer, I cut a frame of green CS and attached to the base. I used pop up dots to attach the image of wild roses that I stamped in Memento Rich Cocoa ink on GKD Ivory CS and colored with Copics G21, YG03, R01, R20, V000, V12, Y12. I fussy cut the image ....if I were home I would have trimmed with my Cameo. The image and sentiment are Flourishes Stamps "Wild Roses" and "Taglines". I so hate that the company Flourishes is for sale.....they create the most beautiful stamps but hopefully someone will buy and continue the company. 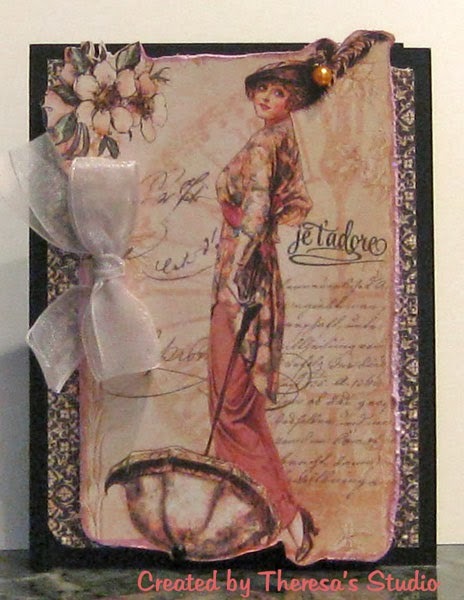 This card uses another vintage lady from the same Graphics 45 Paper Pad "A Ladies Diary" as used in my last post. For this card I cut out freehand the vintage lady in pink capturing part of the background design and then distressed the edges and inked them with a pink Copic marker. I attached this to a layer of black and ivory pattern paper from the same pad and attached to a black card base. Added some bling to her hat and tip of her parasol..... Parasol is such an old fashion French word, don't you think? Finished with an organdy ribbon for a feminine touch. I stamped a Flourishes French sentiment "Jet'adore" with a flourish in Tuxedo Black ink. I used Graphic 45 Paper and Memento ink that is sold by Terri at Joan's Gardens. Welcome! Today I have used pattern paper as my focus and inspiration for this card. I cut a panel from Graphics 45 "A Ladies Diary" and colored the dress with red copics and pencil to create a "Lady in Red". I layered this panel on a pattern paper from MME's Sweetest Thing pad adding red ribbon and black gems and a red rhinestone to her hat. I used a black card stock as the base. The Sentiment stamped in Memento Tuxedo black is from Flourishes set "Flowers for Jan". It reads "People will walk in and out of your life but only a few FRIENDS will leave footprints in your heart." What a lovely thought. 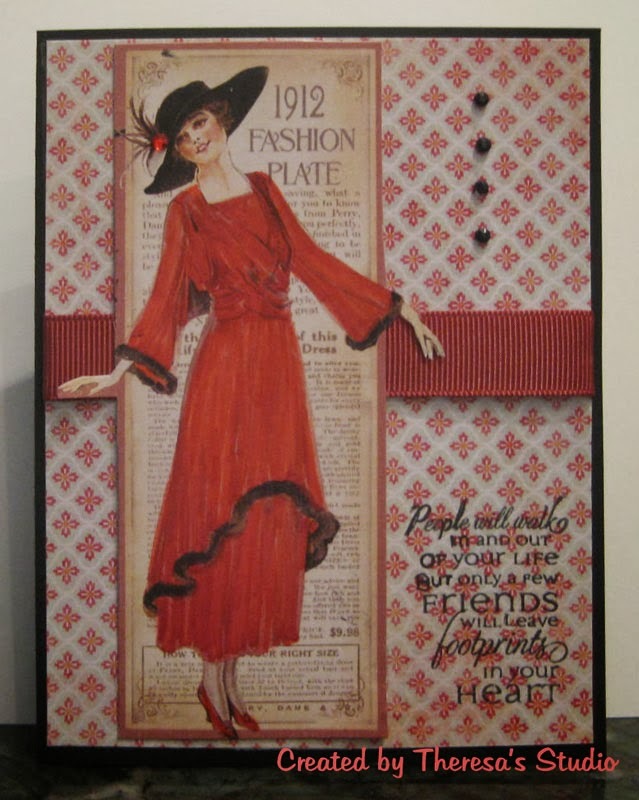 Crafty Catz Challenge: Lady in red. Clear It Out Challenge: Color challenge-Theme is reds and Stash you choose, Used red for coloring, red ribbon and rhinestone from stash. 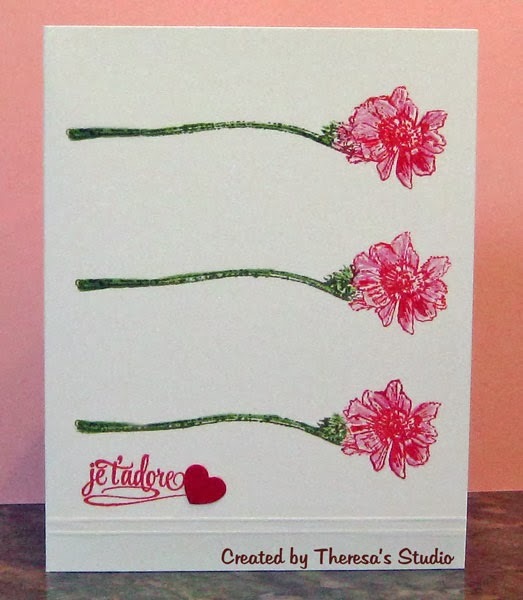 I made this quick and easy one layer card using White card stock and stamping an Anemone stamp from Flourishes Set 3 times using Memento Love Letter and Bamboo Leaves ink and then coloring in with pencils. The sentiment is from Flourishes Wild Roses set and stamped in the same red ink. I finished with a heart cutout and 2 score lines. I was inspired by the Flourishes stamps that I won last month. One Layer Simplicity Challenge: Can you repeat that? Repeated the Anemone stamp in my design. Hello! Welcome. It has been awhile since I have made cards and posted one. Today I am sharing one that I made a several days ago but never posted. I used Kraft card stock for the base card and added a layer of pattern paper (Forgot source) I stamped a pot of hearts with a stamp from Flourishes on a square of Kraft paper with Memento Rich Cocoa. I colored the image with Copics, Red Pencils, red glitter glue, and red and pink stickles. After rounding the corners with a corner punch, I attached the image and added red satin and organdy ribbon and a heart cutout covered with red glitter glue. Hope some of the shiny elements show through on the photo. There are several valentine and heart challenges that I can enter this card.